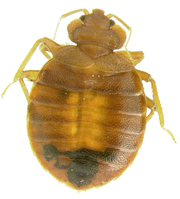 News articles, stories, thoughts and commentary about bed bugs. Dear Lice Guy: What's Bugging Me? Check out the recent NPR interview with IdentifyUS founder Dr. Richard Pollack who talks about his work identifying lead lice and other pests for many thousands of thankful clientele. There's a newway to submit specimens for identification using a mobile device. IdentifyUS has launched a new mobile device compatible version of their pest identification website and their Specimen Evaluation Form that makes submitting specimen data and images a breeze using any camera-equipped cell phone with web browser support. Simply navigate to and bookmark the IDmyBUG mobile website and you'll have quick access to the mobile version of the IdentifyUS Specimen Evaluation Form. Enter data and snap a picture (or two, or three) of the suspected pest and send it to IdentifyUS for a rapid, objective and authoritative assessment. Positive identification of a suspected pest should be the first step in determining what to do next. By knowing exactly what kind of creature you are up against you can effectively react and defend yourself with the confidence and support of expert advice. Before you call in a pest control operator, before you treat with chemicals or pesticides, and before you make any move to eradicate a presumed pest, ask IdentifyUS to help confirm the true identity of the bug(s) in question. It's never been easier than using the IDmyBUG mobile identification procedure! A WCVB TV Channel 5 news brief recently highlighted IdentifyUS entomologist Dr. Richard Pollack during their newscast. You can watch the video here. Recent Forbes article on how bed bugs are making their way back into our offices, workplaces, and other public spaces.